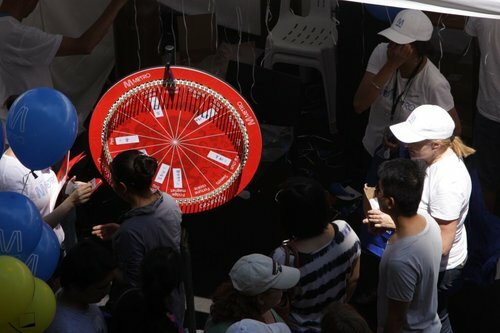 Step right up: spin the wheel and win a gift! Fridge magnet? Shopping bag? Sticky notes? Shopping bag? Pen? Keychain? They’re all up for grabs! 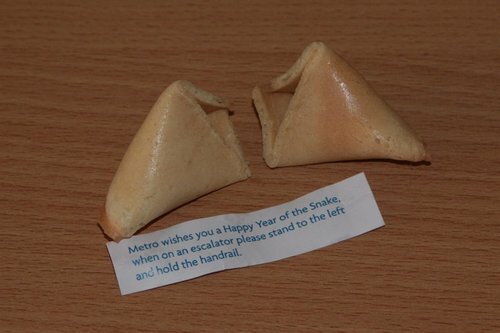 Another free gift you could win were fortune cookies: I was hoping to find inside something a smart alec would say – along the lines of “your train will be delayed 15 minutes” – but instead it was just a boring safety message. 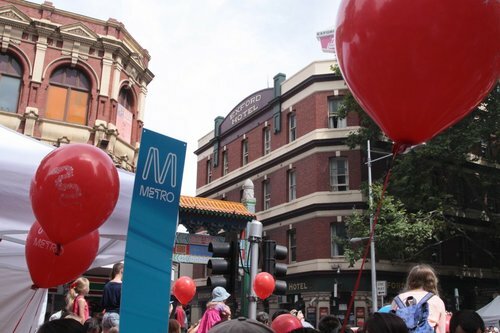 Also on hand were hundreds of helium filled balloons – just keep them away from the 1500 volt overhead! 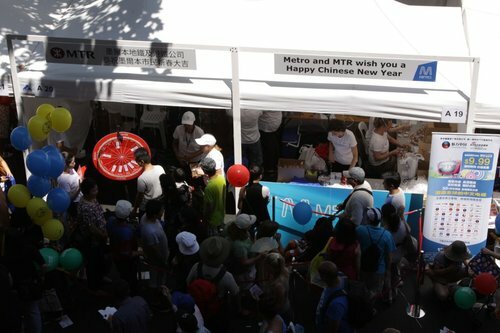 Over on Hong Kong MTR network, operated by the parent company of Metro, their Chinese New Year posters had the opposite message – no helium balloons. Shouldn’t they focus on getting the trains to work, rather than propaganda?